I just tested me new smoke house worked pretty good, but I was having trouble keeping it hot enough I made a pot belly stove out of a 20 lb propain tank. That I burnt lump charcoal in. Does anyone have a better idea on a heat source. I have more propain tanks so I can try a whole new design. Wow, I have no suggestions, since it's out of my area of expertise, but I love the design. 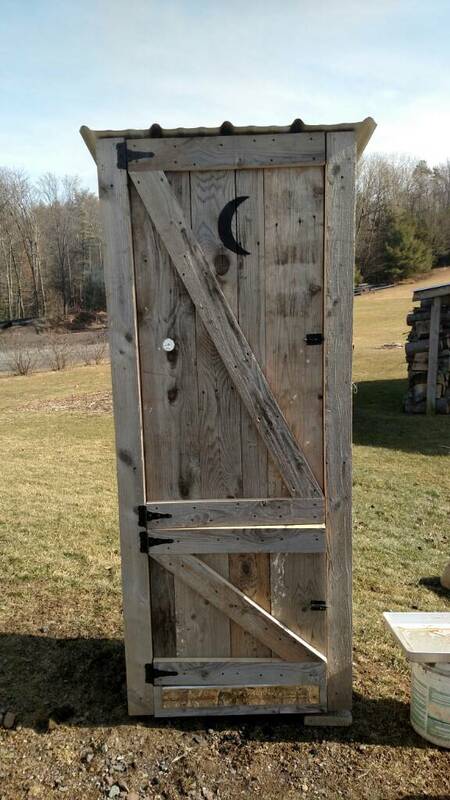 I've never seen one in an outhouse-type design, and a lot of the ones I've seen seemed to be cramped. I think this is ingenious in that it could be portable, is self-contained, and is definitely something I'd like to own. Do you have a gas line in your house? Would it be possible to hook it up, if so? I'm watching this thread, because I'm really interested to see the suggestions people make. I'd definitely put wheels on that baby, since it might make it easier to clean and transport. I have a gas burner that I could try in it but I was trying to stick with charcoal. As far as putting wheels on it I have been moving it with a hand truck, but it is heavier than I expected I think when it warms up it is going to get a semi permanent home in my back yard. I use charcoal myself, but I do have gas at the house, and if I had something like that, I would probably see if I could hook it up. I have no idea how to do that, but I see them doing it all the time on DIY Network for fire pits in the yards they make over, so it must be possible. 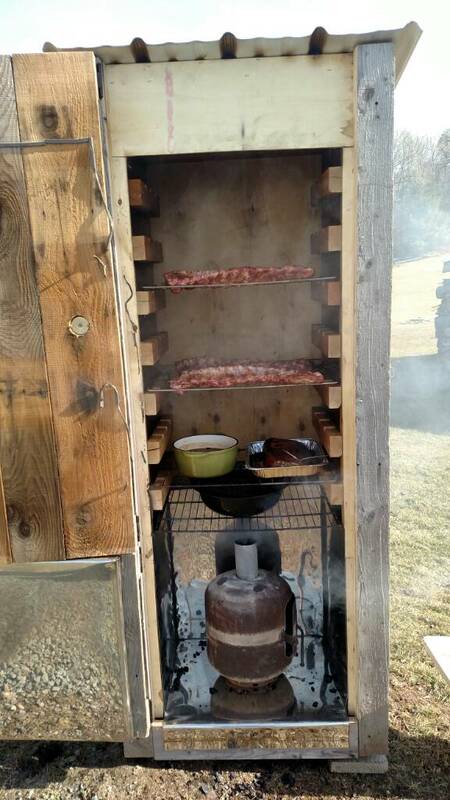 I like the idea of having dual fuel sources, because I'm sometimes not in the mood for how long charcoal takes, although with a smoker that's part of the attraction. Did you buy that pre-built, or build it yourself? It's very sweet. Good idea about using a hand truck or settling it in somewhat permanently. I made it myself it has a stainless steel heat shield in the bottom, and it is made to fit a standard oven rack. I also have dawel rods that I can use instead of the racks for when I make bologna. Wow this is really cool and a great setup. I have never seen one like this before. It is very unique and creative. I always cooks with charcoal. I prefer the taste of food cooked that way. several friends have smoke houses like yours around here. 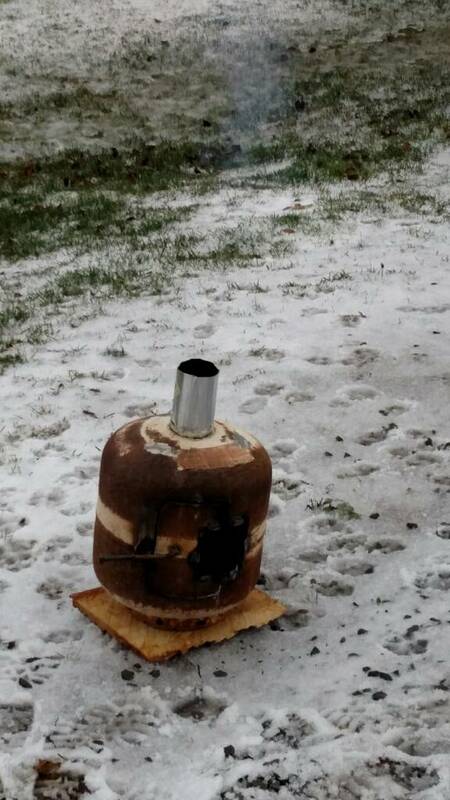 A common method is to take a propane burner and put it in the bottom of the smoke house with an old cast iron pot on top of it in the pot they put their smoke mix. that varies according to the smoker. They use dust, chips, chunks , pellets etc of assorted woods in the pot on the burner. its easy to regulate fro a regulator on a propane bottle. Smoke houses are great because they enable us to create foods that otherwise we would not be able to do. Sadly I don't have one.